Years ago, I used to be obsessed with the body butters from The Body Shop so I couldn't wait to start using one again. 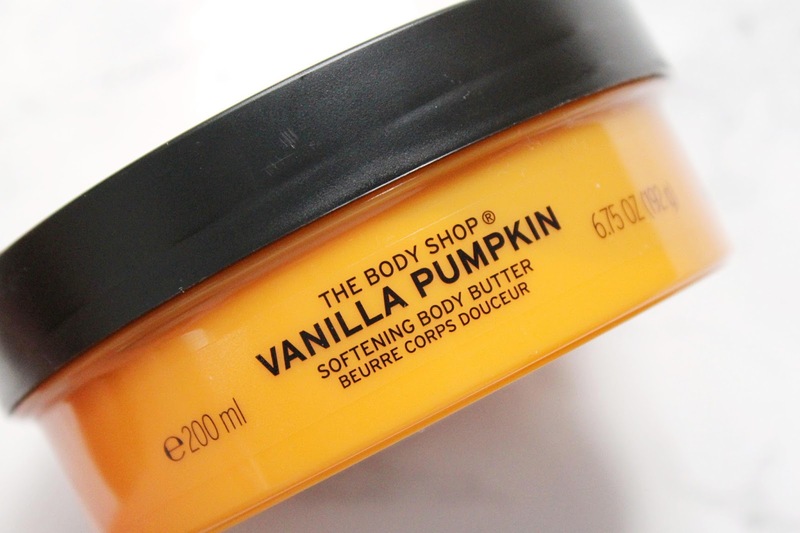 The Body Shop has a limited edition collection out at the moment that's Vanilla Pumpkin scented! I am not usually the biggest fan of anything to do with pumpkins but this scent just works! The Body Shop has a few different products available in this scent and one thing I am super happy about is that they are officially cruelty-free! As the owner of two fluffy and super cute bunnies, this makes me wants to buy everything from The Body Shop now. The Vanilla Pumpkin range consists of a few different products including a hand cream and shower gel, and of course this body butter! If you have never tried a body butter from The Body Shop, put one on the top of your to-buy list immediately - you won't regret it! The Vanilla Pumpkin range is like Halloween has joined forces with Christmas to create some gorgeous scented products with lovely packaging. 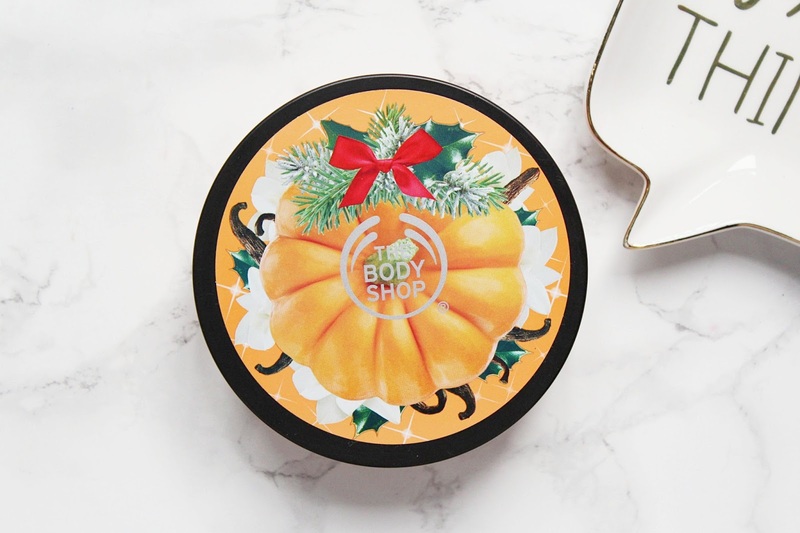 This body butter comes in a huge 200ml size, it's going to take me forever to use it all up and on the lid is a pumpkin illustration with a Christmas wreath on the top. Like any of the other body butters from the brand, they come in a tub which I like as it allows you to be able to use every last drop of the product. I really like that it comes in an orange tub too as it goes perfectly with the pumpkin theme. I have got to admit, I don't like anything pumpkin scented or flavoured usually, sorry to all those pumpkin spice obsessives but because this has been paired with some yummy vanilla notes, I have been really liking this. It contains vanilla extract from Madagascar and also has notes of tonka bean, hazelnut and maple syrup to make it a deliciously scented product. This is one incredible body moisturiser and I find it best to use in the evenings as it does take a couple of minutes to sink into the skin. It does absorb fairly quickly for a body butter and it doesn't leave the skin feeling greasy or oily in the slightest. This makes my skin feel super soft and as we head into the cold months in the UK, keeping your skin hydrated is even more important! This body butter is out of stock online so check your stores if you are wanting to try it! The other products are available online and you can find them - HERE. This post contains a press sample and affiliate link, all opinions are my own.